Starting with a couple of small details, as you can see above, left, the chest pocket features a media port and has a double sided zipper, which allows the pocket to become a stuff sack. In the right photo above, you can see that the sleeves are cuffed with elastic. At the top, inside the collar there is a soft fleece lining to prevent your chin from chaffing. The material inside is fairly soft, albeit a bit rubbery feeling. All of the seams are fully taped internally. 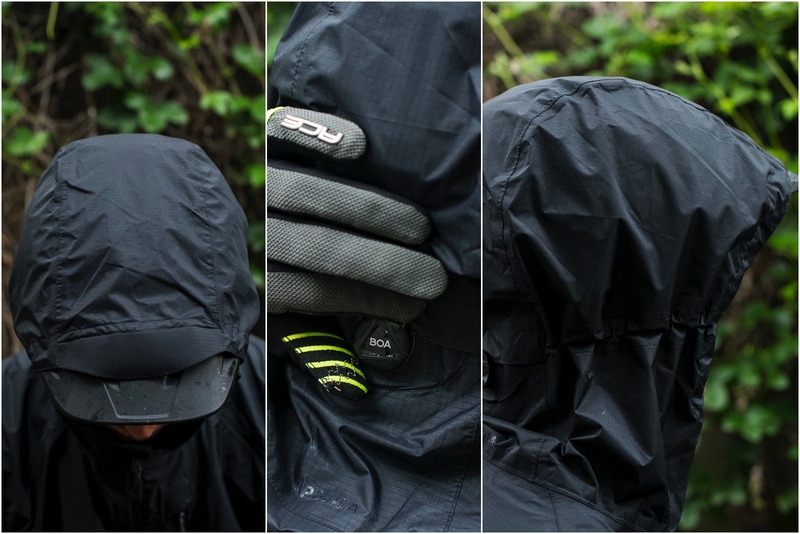 The hood features ample volume so that it should work with larger sized and shaped helmets. The single BOA dial cinches a single chord that lines up around the base of your head out back and near your cheekbones, up front. The hood’s visor has some shape, but is plenty flexible. 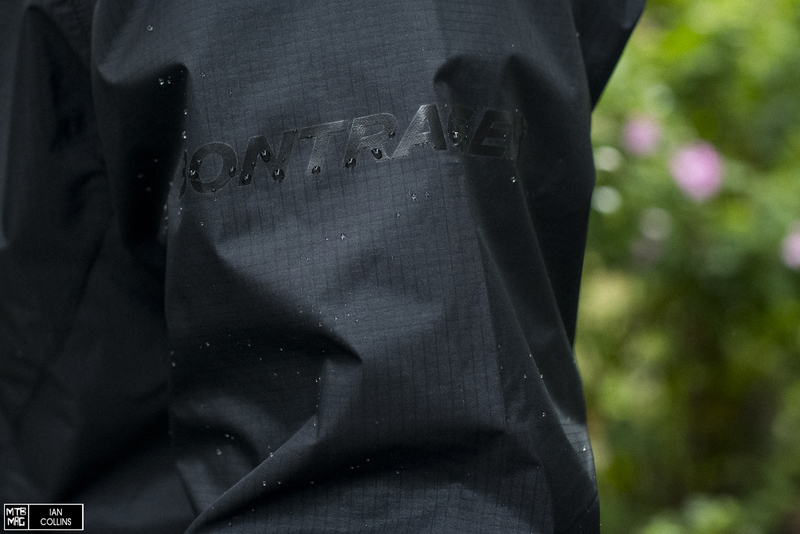 Bontrager describes the Avert as having a “Semi-Fitted cut”, which I think is accurate. For a size large I wouldn’t label at as roomy or trim, but rather – just right. If you have long limbs, you’ll find the sleeves are of ample length, but don’t feel excessive. The tail sits lower than the front to prevent spray from going into your waist, and at the base, there is a single reflective strip. 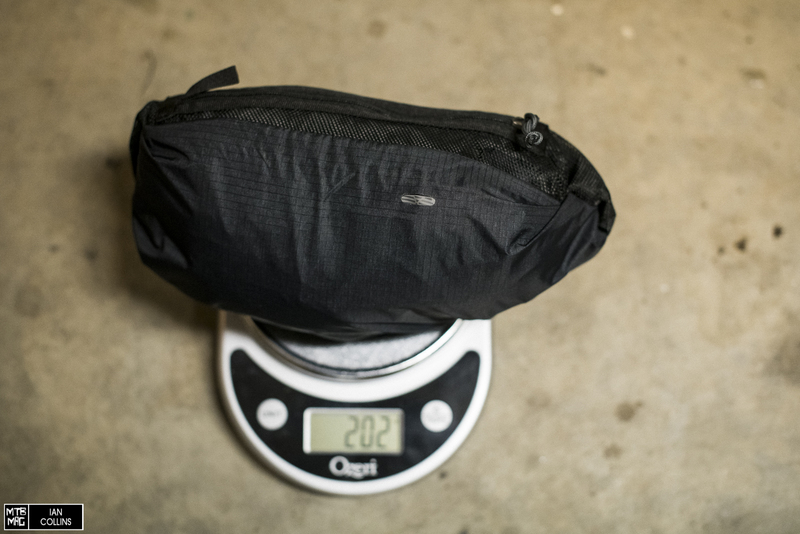 202 grams for a shell like the Avert is quite light. 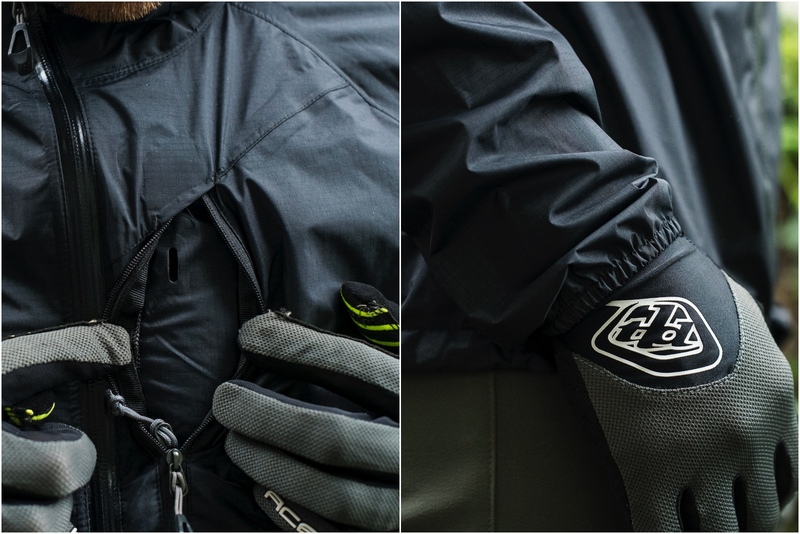 It isn’t too hard to find jackets that are lighter, but that will likely come at the expense of sturdiness and certain features. 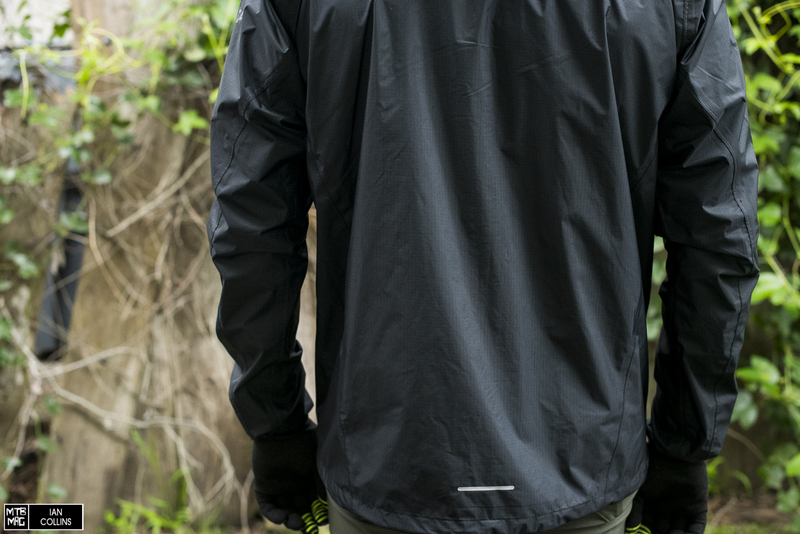 The jacket is pictured above in stashed form, zipped into its own chest pocket. 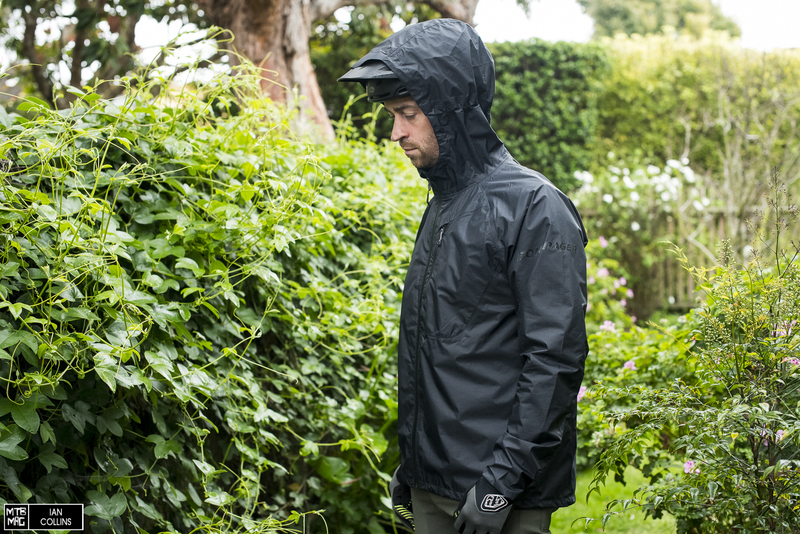 The ripstop nylon fabric and its coating are extremely hydrophobic. Looking at the picture above, you’ll notice that the water wants to stick to the small rubberized label, but basically wants to run right off of the rest of the material. The Avert features a cut that’s just right in terms of roominess and its pre-articulated for the shape you’ll be in on the bike. So, regarding fit, the comfort is there. 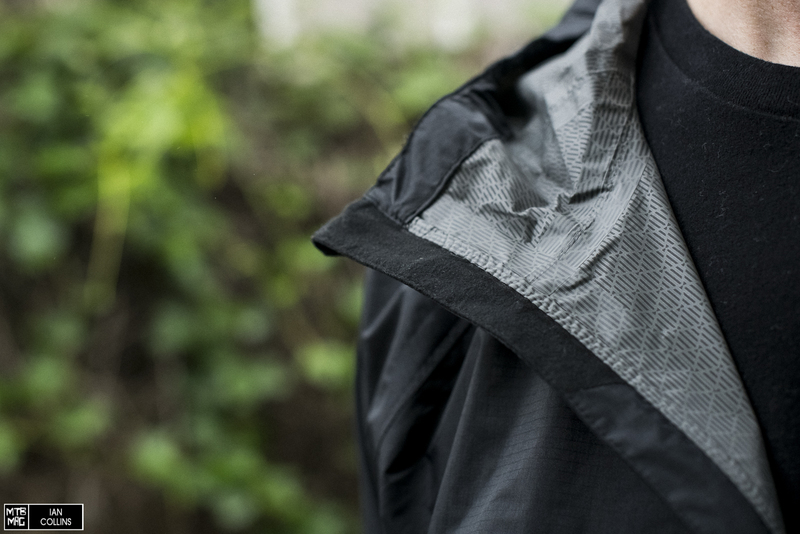 As for materials, this jacket did a freakishly good job at keeping wind and water out, which is its main job. That did come at the expense of some breathability though, so it’s definitely better as a colder weather option. If I had one minor gripe it’s that the lining feels slightly rubbery on the skin. With long sleeved jerseys you won’t notice that though. Bontrager checks all of the right boxes in terms of features, and even goes a step beyond with the BOA dial. While it might sound gimmicky, it is anything but…The dial is fast and effective to use with just one hand, whether you’re cinching or releasing it. All in all, this is a really nice piece of apparel and it’s priced really well – better than most, to be quite frank. 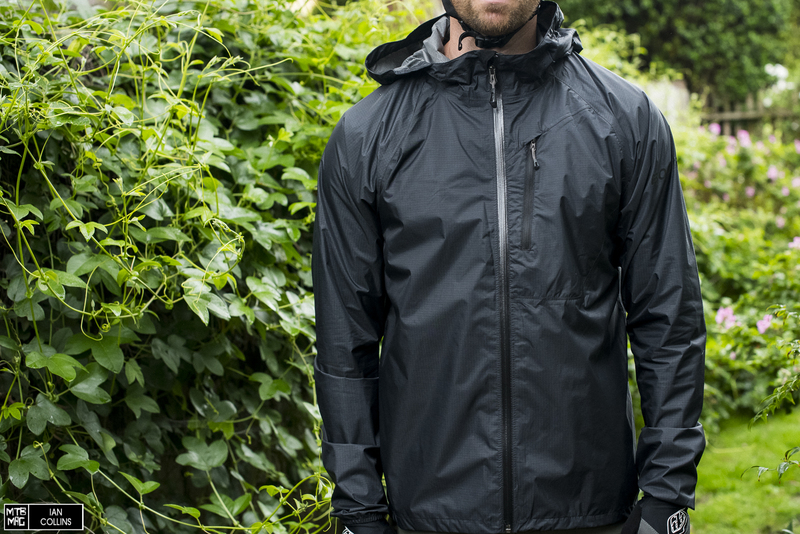 It’s worth mentioning that at the time of writing this, Trek has the Avert shell on sale for ~$120, which is a steal.